When will be The Sooty Show next episode air date? Is The Sooty Show renewed or cancelled? Where to countdown The Sooty Show air dates? Is The Sooty Show worth watching? The Sooty Show is a British children's television series that aired on BBC Television from 1955 until 1967, and on ITV from 1968-1992 It features the glove puppet characters Sooty, Sweep (who first appeared in 1957) and Soo (first appeared in 1964), and follows them in their many mischievous adventures. The show was presented from the 1955 to 1975 by Harry Corbett, and from 1976 to 1992 by his son, Matthew, as he bought the rights for Sooty for £35,000 from his father, and acted as the token human being. 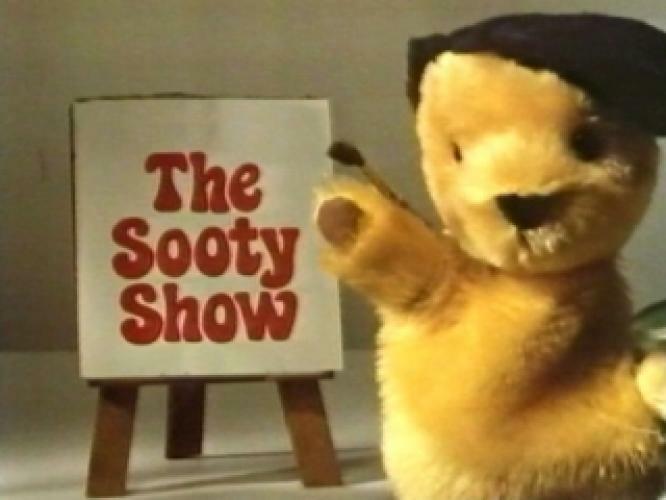 In 1981, The Sooty Show changed from a sketch-based format with a studio audience into a more sitcom-based format set in the Sooteries cottage. The Sooty Show next episode air date provides TVMaze for you. EpisoDate.com is your TV show guide to Countdown The Sooty Show Episode Air Dates and to stay in touch with The Sooty Show next episode Air Date and your others favorite TV Shows. Add the shows you like to a "Watchlist" and let the site take it from there.